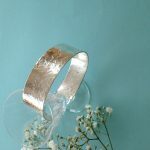 Lovely hand forged softly textured sterling silver bangle cuff band, simple but effective, circular textured ripples effect. 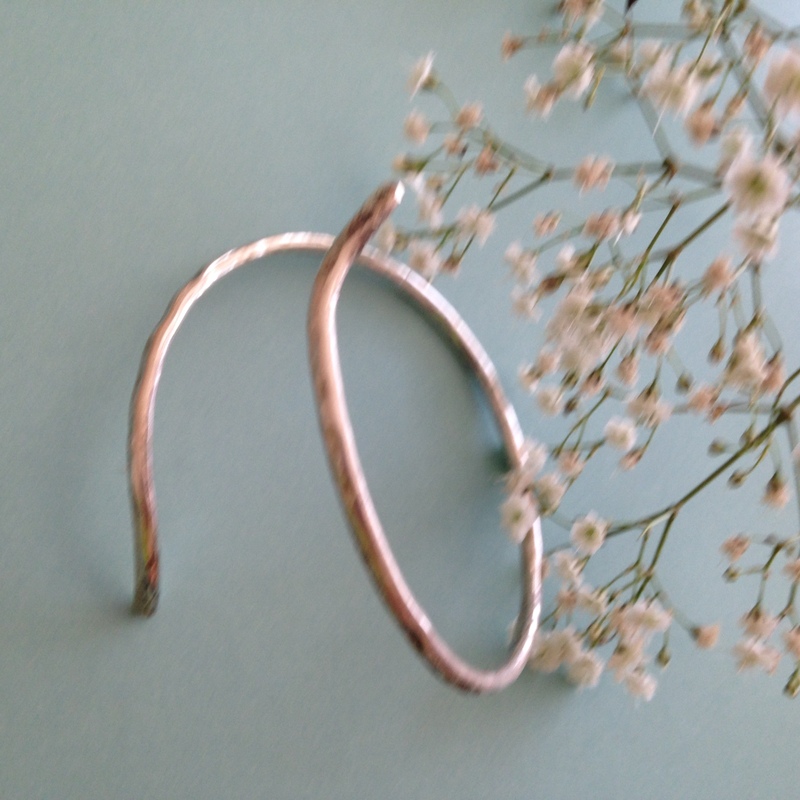 The Cuff is cut from a sheet of sterling silver and then textured and shaped. 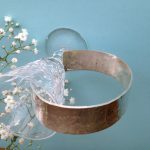 Carefully finished with hand filing and polished in my tumbler a truly original piece, cuff is a good weight and 2cm wide. 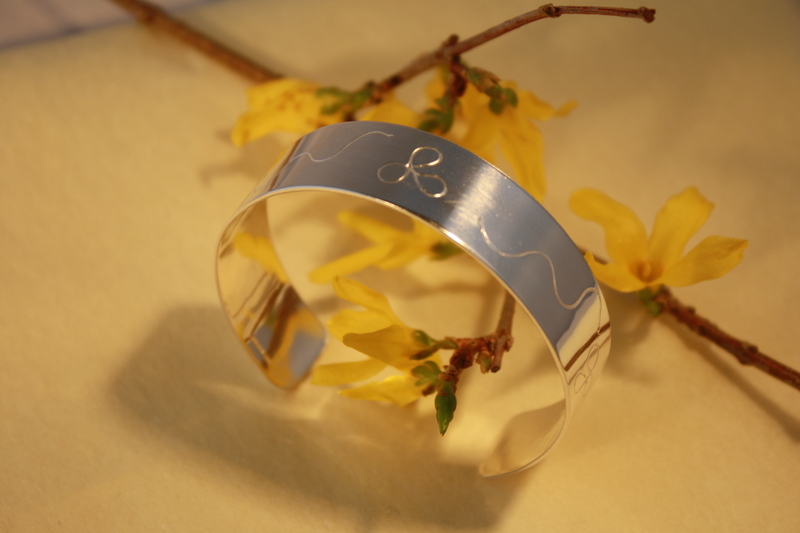 Comes wrapped in tissue in a gift box. 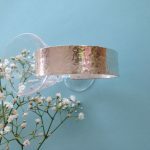 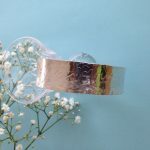 This beautiful handmade forged silver cuff bangle is a simple stunning jewellery piece complementing any wrist. 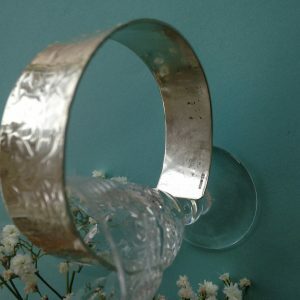 A circular hammer was used to create this interesting soft design. 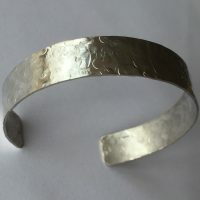 Cut from a metal silver sheet 1mm thick the cuff has then been textured by hammering before forging with heat and shaping into a band. 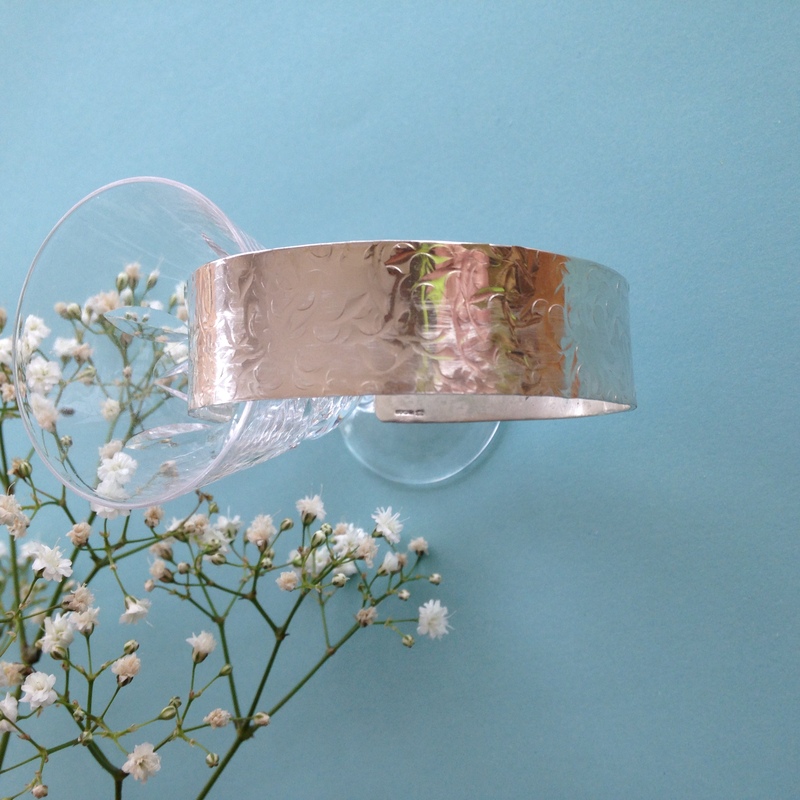 An exciting swirl soft textured polished effect is achieved.